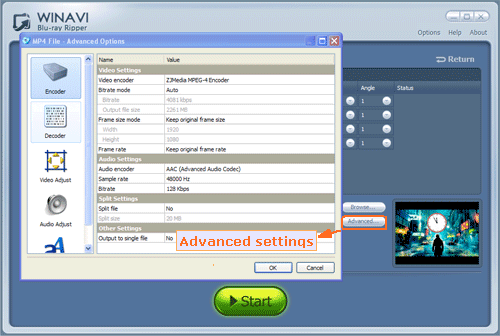 It is very easy to rip and convert Bluray to MP4 with WinAVI Bluray Ripper. This Bluray Ripper can rip and convert Bluray to MP4 format at world's fastest speed up to 6x more. If want to convert large BD files in a short time and remove the BD copy protections such as BD+, AACS,etc, this Bluray Ripper is your good choice. 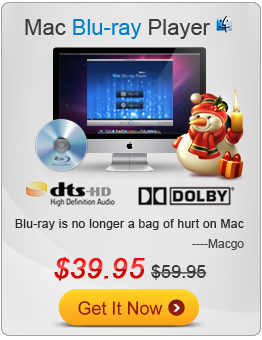 And below we will guide you how to use this Bluray ripper to rip and convert Bluray to MP4 format. Step 2: Insert the Blu-ray disc or drag BD folder directly if it is on PC or other removable devices into this program. Step 3: You can click "Convert from Blu-ray Drive ", "Convert from Blu-ray directory" or "Convert from Blu-ray Image File" button to load BD file. 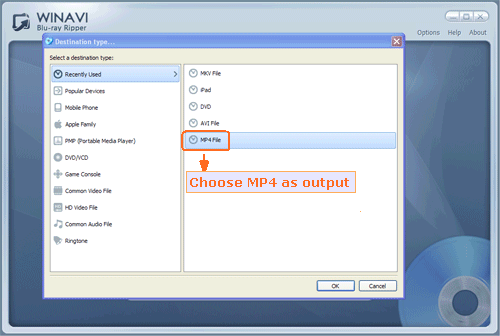 Then a small window will pop up and ask you to select the output format, here we choose MP4 format. Step 4: Click "Advanced " to customize output MP4 format. Step 5: When Advanced settings are completed, just click the green button "Start" to convert to MP4. Step 6: After conversion is end, you can check output MP4 video by clicking "Open the output folder" button. Now, do you think it is very easy to convert Bluray to MP4? Just only several steps. If so, do not hesitate to have a try.